Send A Message To Todd. Panic Attacks, Anxiety, Stuck in Worrisome Thoughts? Ready to Kick that Addiction? You are not alone and you are so in the right place to finally put an end to all of this! 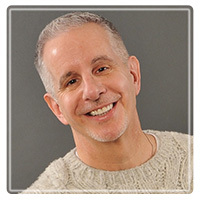 I am Todd Kaufman, a Registered Psychotherapist and Toronto's Anxiety Specialist. I have helped hundreds of people end their panic attacks and manage their anxiety and move past countless challenges from depression to addiction. All these modalities are helpful to some degree but they need to be based new way of thinking that reframes and disempowers anxiety. This approach is so unique and effective I am now teach my approach to therapists and doctors all over North America. What about depression, addictions, grief, cancer and that other stuff? There are few challenges that can not be addressed by learning two key skills, how to be present, and how to manage your thoughts and feelings. Easier said then done...but they are skills and can be learned. Just because you have a thought does NOT mean you have to keep it! That might be news to you, or not, and either way it is a learned skill. Like anxiety is always about dragging a future based fear into the present, so too is depression, but it is about dragging a past event into the present. Either way when these thoughts land in this moment, and you seem stuck with them, and it pretty much ruins your immediate experience. For some of us we turn to alcohol or drugs to try and change our immediate experience and escape the pain. This choice can quickly become addictive and the next thing we know we are worried about an addiction! Addictions are likely not what you thought - we have a great new powerful take on these too, that is so helpful in kicking them. Learn more here. So what if you learned to be in control of the present moment? To discard that thoughts that were ruining your day, and choose thoughts and feelings that brought you peace, joy and happiness? I can show you how. Using a unique approach I integrate psychotherapy and coaching into a program that helps you change your thoughts and change your life. This sounds like a 'quick-fix' not a solution? Having worked with hundreds of clients and taught hundreds of therapists and doctors my technique I can assure you that for many people it is both quick relief and ultimately a solution. If you learn the skills and techniques and apply them regularly, you do feel much better much quicker. This is simple cause and effect. But a caution - it took you decades to become who you are - and you have lots of practice being you! So is this based in good science? Our heads are pretty complicated places and honestly, despite all the research we have only begun to scratch the surface. So it turns out: You can teach old dogs new tricks! I teach a course to mental health professionals called 'Integrating the Science Neuroplasticity into Your Counselling.' This course teaches doctors and therapists the basic of what we know about the brains ability to rewire and how to coach people just like you to learn to re-wire their brains for a desired and chosen outcome. Our understanding and application of neuroplasticity can help you get over phobias, stop anxious thinking, kick depression, and even beat an addiction. Understanding how it works, and learning the primary skills to create change is part of what you do in our sessions together. How Do I Access This Change? So give me a call and let me hook you up with what I have not only learned from decades of training - but more importantly what I have learned from hundreds of clients much like you, who have ultimately found ways to live without excessive anxiety, depression and even addictions. Call me on my direct line, and if I am with a client leave a message, I promise to back to you quickly. To hear the story of the bride who almost did not make it up the aisle because of a panic attack, click here: Wedding Panic Attack!